Payrolls grew 201,000 last month, and the unemployment rate held steady at 3.9 percent in yet another in a long series of strong job reports (at 3.853 percent, the rate just missed a tick down). Though there are still some people and places who’ve been left behind, the U.S. labor market remain solidly in the midst of one of its longest expansions on record, with no signs of strained capacity or overheating. Hourly pay for private-sector workers is a standout in today’s report, up 2.9% over last year, its strongest posting since 2009. 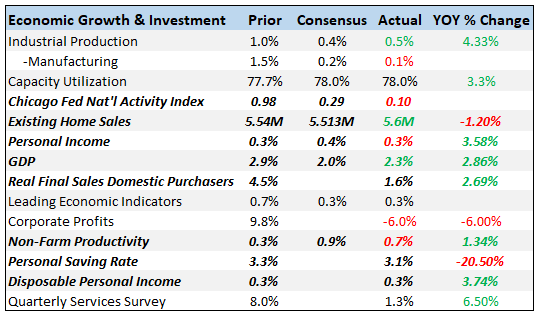 Though we don’t yet know August inflation, my guess is that it comes in lower than that, perhaps ~2.6 percent, implying a much-needed gain in real hourly wage growth. For middle-wage workers (the 82 percent of the private workforce covered by the Bureau’s “production, non-supervisory” category), hourly pay rose 2.8 percent over the past year. The figures below smooth out the jumps in the underlying wage series with a 6-month moving average, and both show a slight acceleration in wage growth which I expect to persist, absent unforeseen shocks to the system (escalating tariffs, for example, could become a problem). If so, this will be a long-awaited development that will correct one of the clear missing pieces from the recovery over the past two years: the absence of sustained, real pay gains for middle-wage workers. Of course, this raises the specter of economic overheating. Below, I present evidence that this is not an obvious threat at this point. Turning to the payroll results, JB’s monthly smoother–averages of monthly job gains over 3, 6, and 12 month periods–shows an underlying trend of around 190,000 jobs per month. At this stage of the recovery, that trend is easily strong enough to put downward pressure on unemployment. Why, then, did the unemployment rate not fall? As is often the case, it’s a tale of two different surveys. The household survey, from which unemployment is derived, was less positive in August than the survey of establishments which generates the payroll numbers. The labor force participation rate fell two-tenths, to 62.7 percent, as about 470,000 people were reported to have left the labor market. This indicator is, however, quite volatile on a monthly basis and I thus down-weight its monthly ups and downs. In another strong sign of labor-market tightness, the underemployment rate, which justly takes credit for the steady decline in part-timers who want full-time jobs, fell to 7.4 percent last month, its lowest rate since 2001, and close to its all time low of 6.8 percent in late 2000. In other words, in year nine of this long expansion, labor demand, meaning job creation derived from economic activity by consumers, investors, and government, still remains strong. Though real wages have been a soft spot, there’s some indication of an upturn in that trend. Does this imply price pressures, overheating, and the need for the Fed to accelerate its rate hiking campaign? The figure below suggests not. It shows that even while unemployment has long been below the rate the Fed considers the lowest jobless rate consistent with stable prices, wage growth is gradual and core inflation, after years of coming in below their 2 percent target, is now just hitting it. Equally importantly, unit labor costs (compensation growth adjusted for productivity growth), which is a measure of labor cost per unit of output, is growing smoothly at 2 percent, and showing no signs of acceleration (see chart 2 here). These observations suggest the Fed’s current path of slowly and steadily raising rates one-quarter point per quarter is adequate to the task of a “smooth landing,” i.e., getting its benchmark rate back its usual perch without overly slowing a recovery that’s starting to reach many who’ve long been waiting for that moment. Share the post "Jobs Report: A long-awaited wage pop that’s hopefully part of an emerging trend"
Previous Thumb on the scale: correcting the CEA’s corrections re real wage growth.